The pyrolysis technology of solid waste can be divided into natural and organic synthetic types. Natural rubber, wood, paper , protein, starch , cellulose, straw, waste oil and sludge. Synthetic plastic, synthetic rubber, synthetic fibers. With modern industrial development and people’s living standards improve, people’s food, clothing, shelter, applied to increase opportunities for organic polymer materials, therefore, increasing component of solid waste organic matter. These wastes are flammable, energy recovery through incineration. This chapter focuses on the recovery of fuel gas and oil from pyrolysis of organic matter.A first overview , the concept of solid waste pyrolysis thermal pyrolysis of organic instability in the thermal decomposition process of anaerobic or anoxic conditions. Pyrolysis and incineration is completely different compared to the two processes are exothermic incineration, pyrolysis is endothermic; incineration products are mainly carbon dioxide and water , and the product is combustible pyrolysis mainly low molecular compounds: gaseous hydrogen, methane, carbon monoxide, liquid methanol, acetone, acetic acid, acetaldehyde and organic tar, oil, solvents, mainly coke or solid carbon black. Large amount of heat generated by burning may be used for power generation, only a small amount of water or to produce steam for heating up the nearest available. The pyrolysis products are fuel oil and fuel gas, easy storage and long-distance transport. Pyrolysis principle used in industrial production has a long history of destructive distillation of wood and coal, fuel oil and other heavy oil cracking producing all kinds has long been known. But the principle is applied to the thermal decomposition of solid waste to make fuel, or something in recent decades. 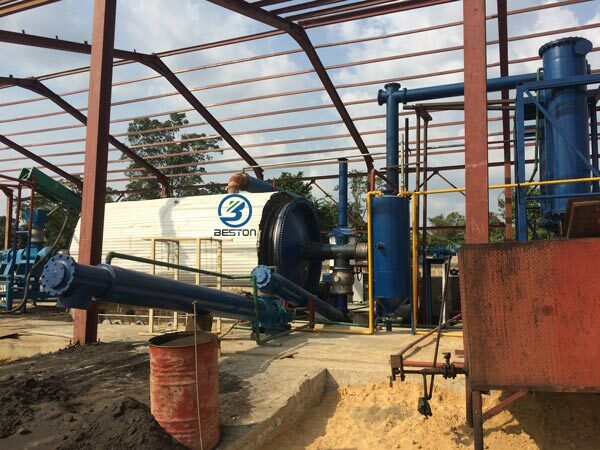 Foreign use of pyrolysis treatment of solid waste has reached industrial scale , although there are still some problems, but practice shows that this is a promising method of solid waste disposal. U.S.Bureau of Mines conducted some research pyrolysis of solid waste in 1927. In the 1960s, people in urban waste research resources as raw materials began to prove various gases generated during pyrolysis can be used as boiler fuel. 1970 Sanner, etc. Experiments show that urban waste pyrolysis not need to add an auxiliary fuel to meet the requirements of the pyrolysis process heat required. 1973 Battle refuse pyrolysis studies using energy generated exceeds the energy of solid waste containing 80% successful. Former Federal Republic of Germany in Bavaria in 1983 the first Ebenhausen construction waste tires, waste plastics, waste cable pyrolysis plant with an annual handling capacity of 600-800 tons of waste. Then, again in Fort Queens Bavaria established pyrolysis of municipal waste treatment plant, annual capacity of 35,000 tons of waste , the former Federal Republic of Germany to become the new technology of pyrolysis pilot plant. New York City also established a high-temperature pyrolysis of pure oxygen daily processing capacity of 3,000 tons of pyrolysis plant.